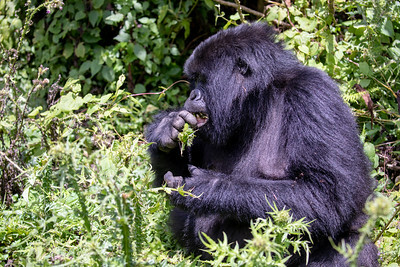 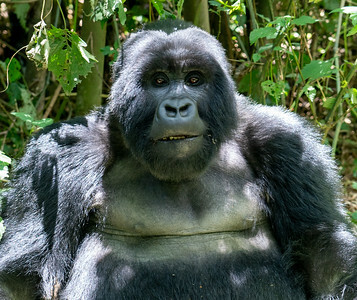 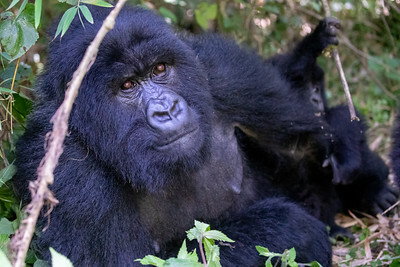 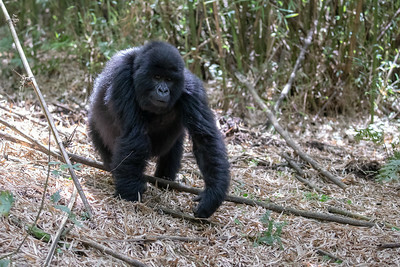 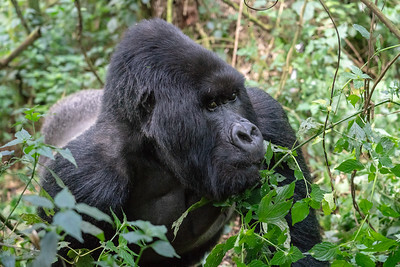 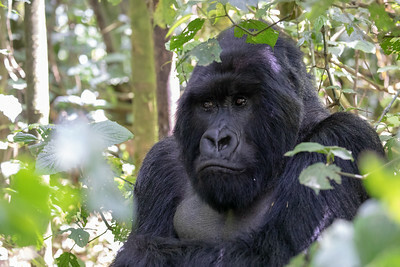 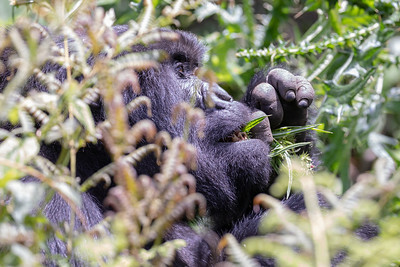 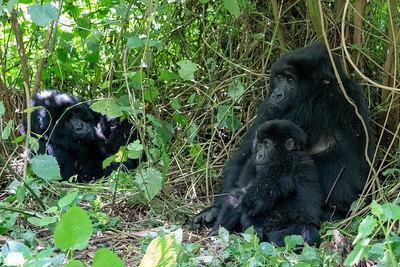 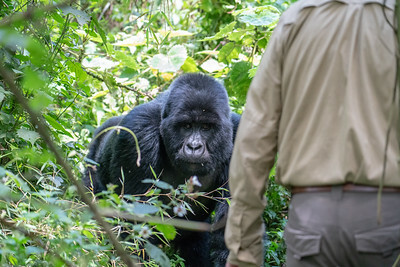 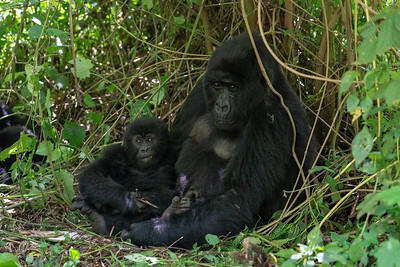 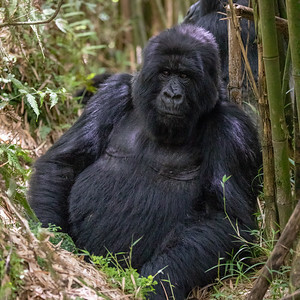 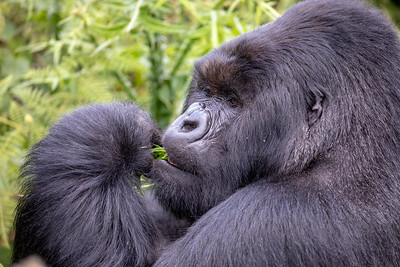 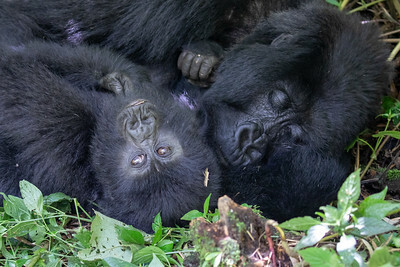 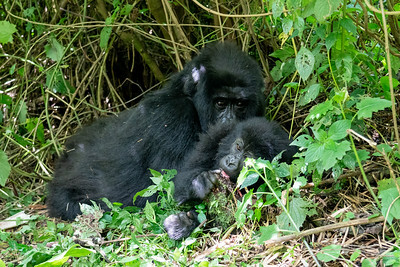 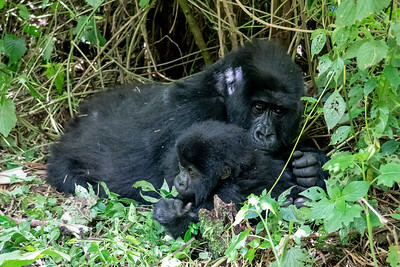 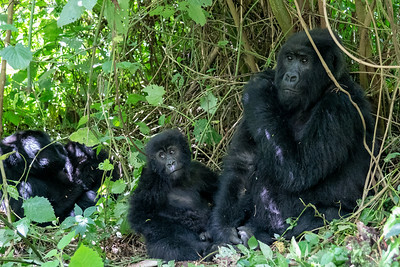 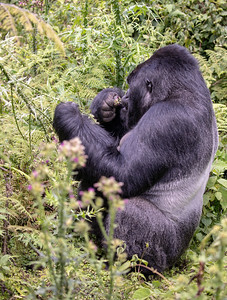 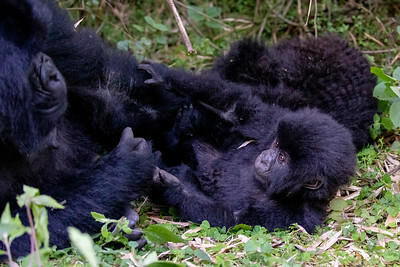 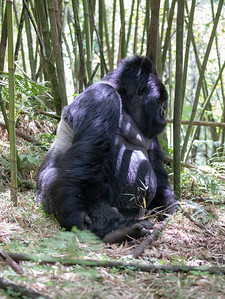 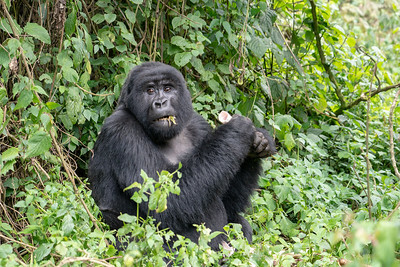 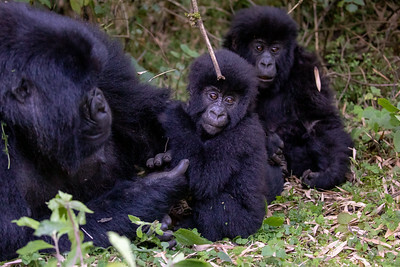 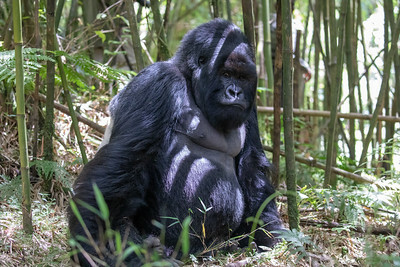 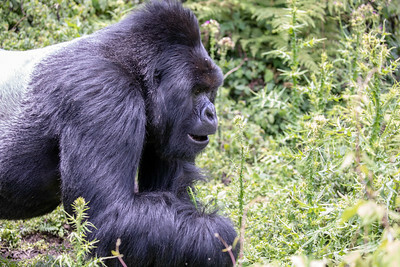 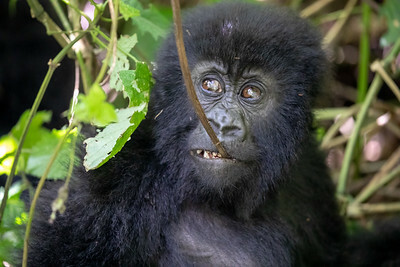 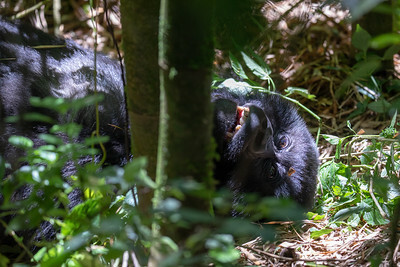 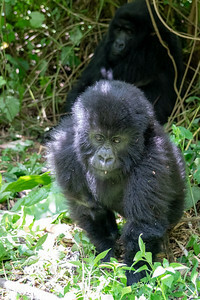 The blackback gorilla is named Ingabo. 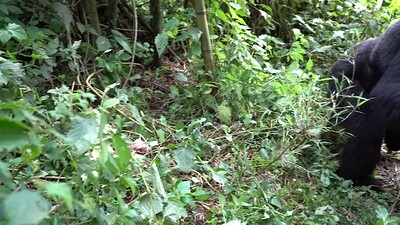 He he crashed through the bamboo he spun around and touched my knee as he made his way down to Bernice, our guide. 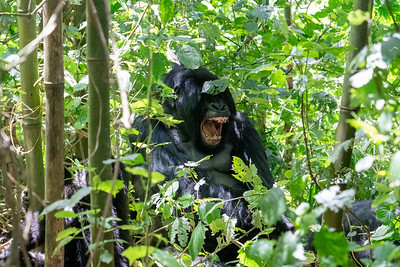 She asked me to stop recording as so as Ingabo made contact with her.